that will define their 2016! Brainstorm some examples and talk about how one word can encompass a goal. 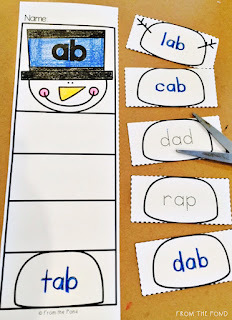 Students can use the letters on this page and the bonus letters page to create their word. Copy some in bright colours for a different effect. We pasted ours to bright paper for a nice background. 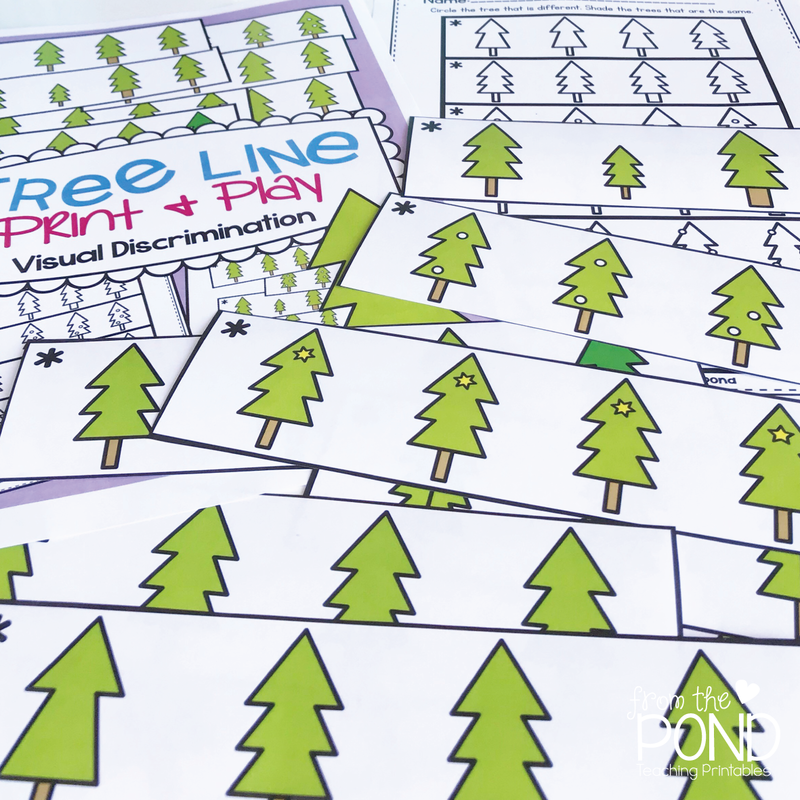 This printable is FREE in my TpT store as a little thank you for all your support through 2015. 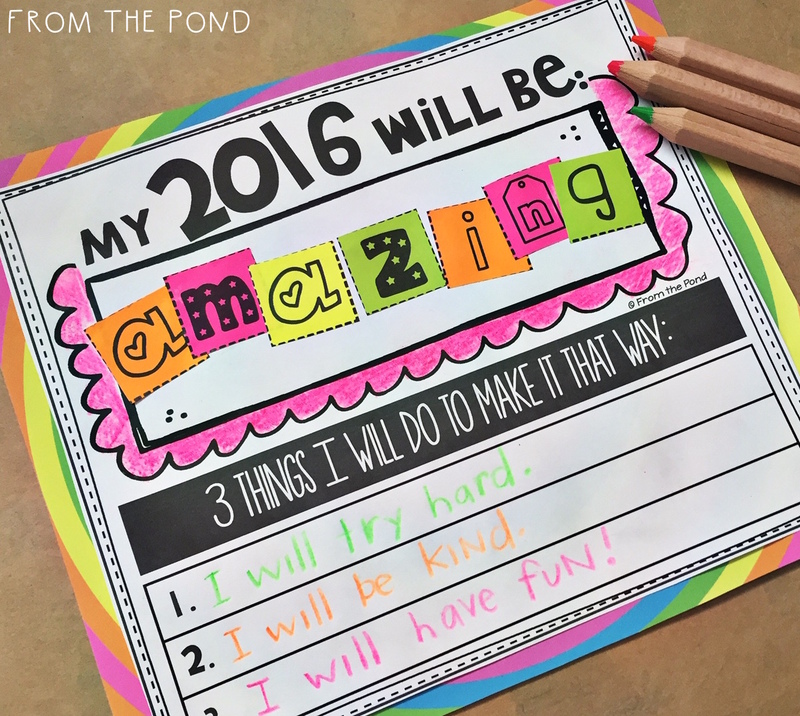 I am super excited about what 2016 will bring and cannot wait to share some of my adventures with you. 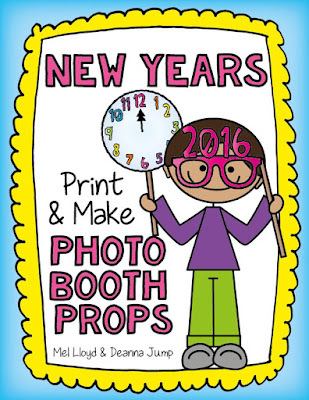 If you need some more New Year fun, check out the newly refreshed photo booth props I have made in collaboration with my sweet friend Deanna Jump. Click on the picture below to find her store. 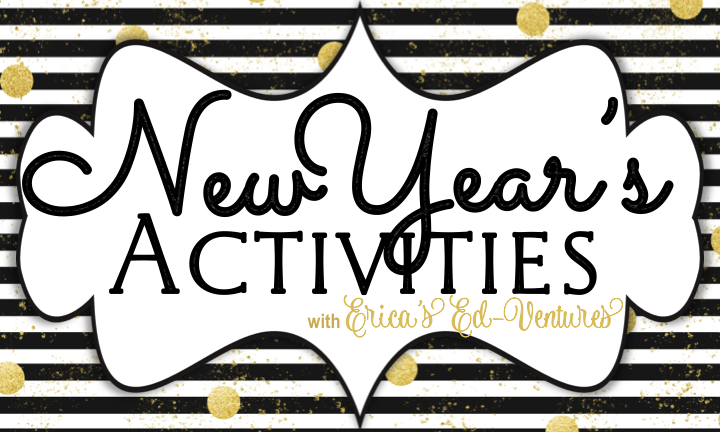 And you will love all the gorgeous ideas for learning over at my friend Erica's blog! She has enough to keep you going in the classroom for a whole week at least, and its all prepped ready for you! Have a wonderful day my friends, and once again - thank you for stopping by! 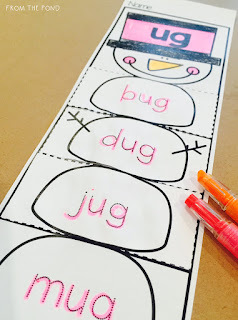 I have a fun worksheet game for you to download today! 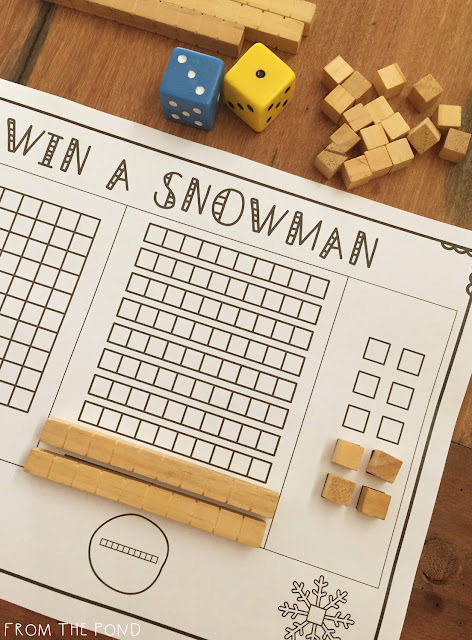 Win a Snowman is a trading game that will help your students with place value and building numbers in sets of ten. I am so passionate about students having ample play opportunities with 'tens blocks' (also called MAB blocks) - especially in the early years. 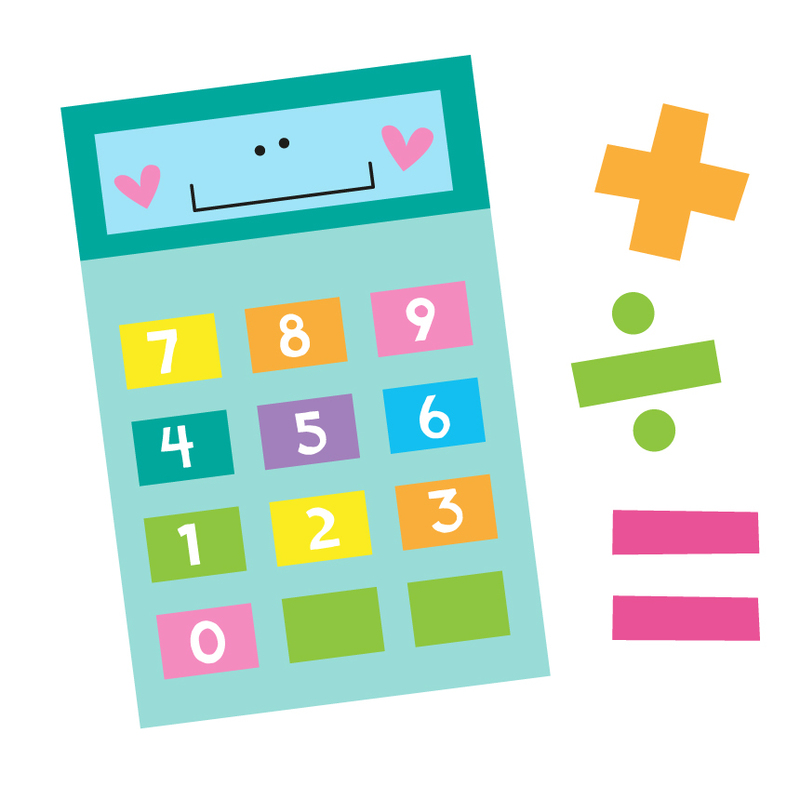 They help lay a strong, solid understanding of our number system and how numbers are formed and represented. 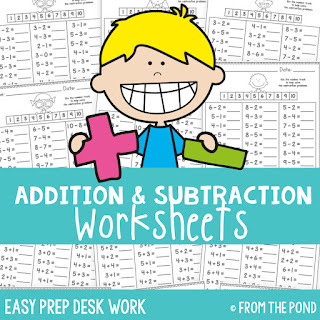 This then makes learning addition, subtraction, multiplication and division a LOT easier. In this game, the shorts (or 'ones') are snowflakes. 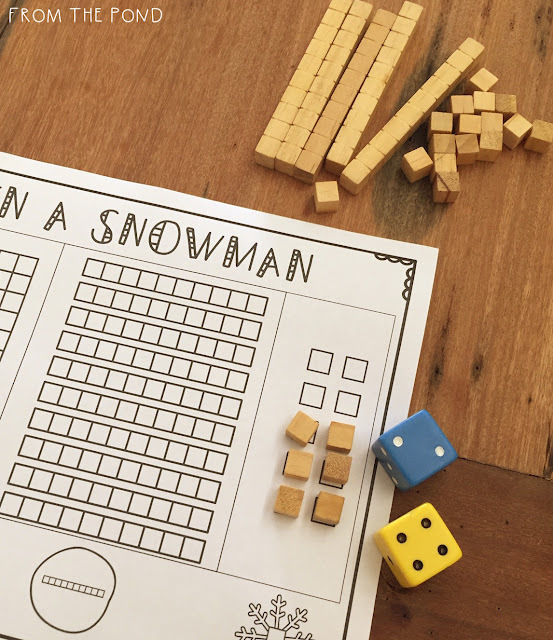 Students can roll one or two dice (find total of 2 to make it harder for your more-able students) and gather the same number of snowflakes. Put them in the ones column. Aim to build ten. Trade ten shorts for a long (or, a 'ten') - which in this game, is called a snowball! 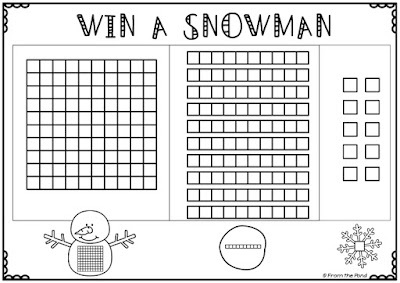 Once you have ten snowballs, you can trade for a snowman (a flat, or 'hundred'). 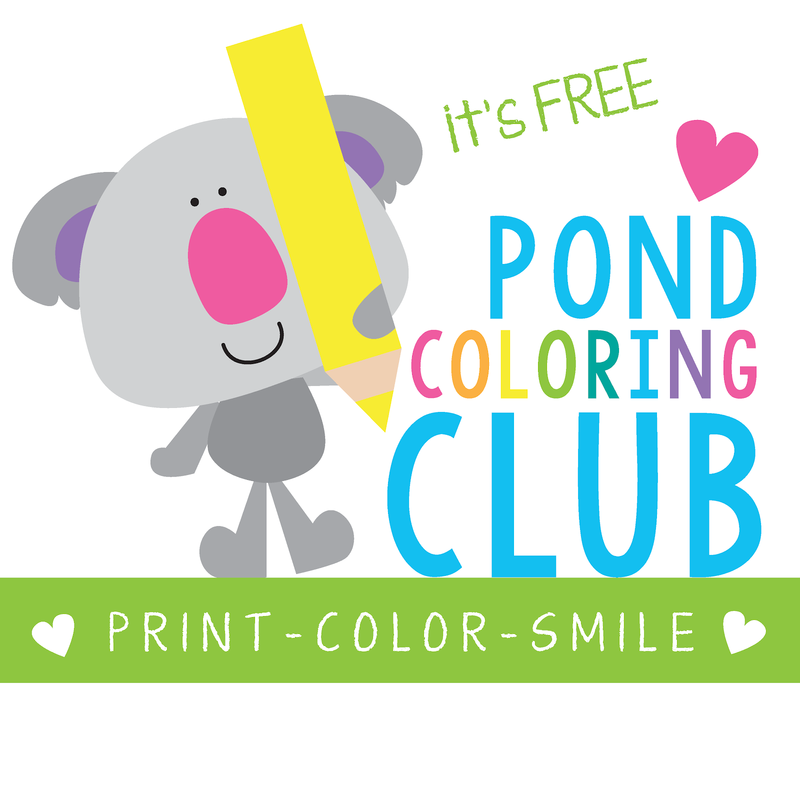 Find the free printable in Google Drive HERE. 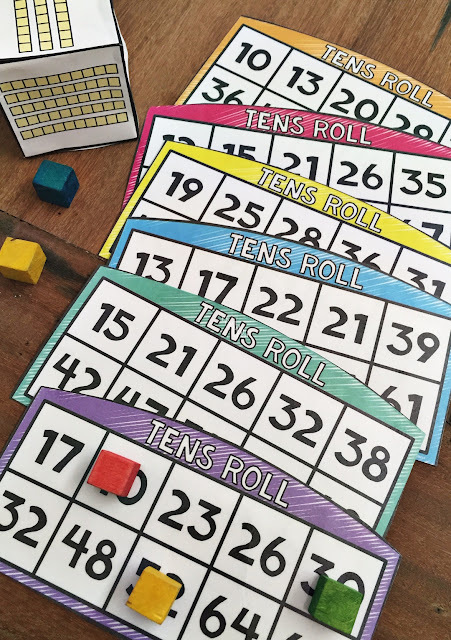 I have also added a tens game to my TpT store. 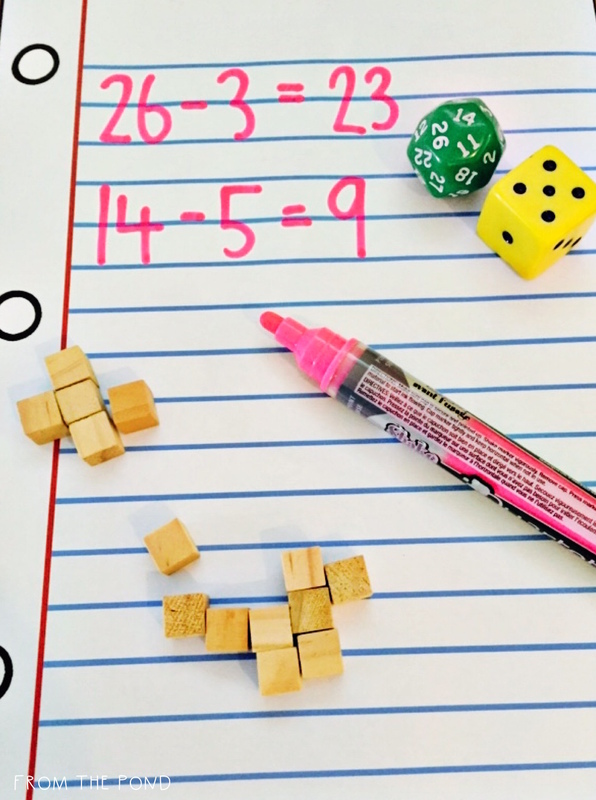 Students will work on instantly recognizing arrangements of 'longs' or 'tens' and finding two digit numbers on their game board to match. I have added two new paper crafts to my Paper Craft Bundle! 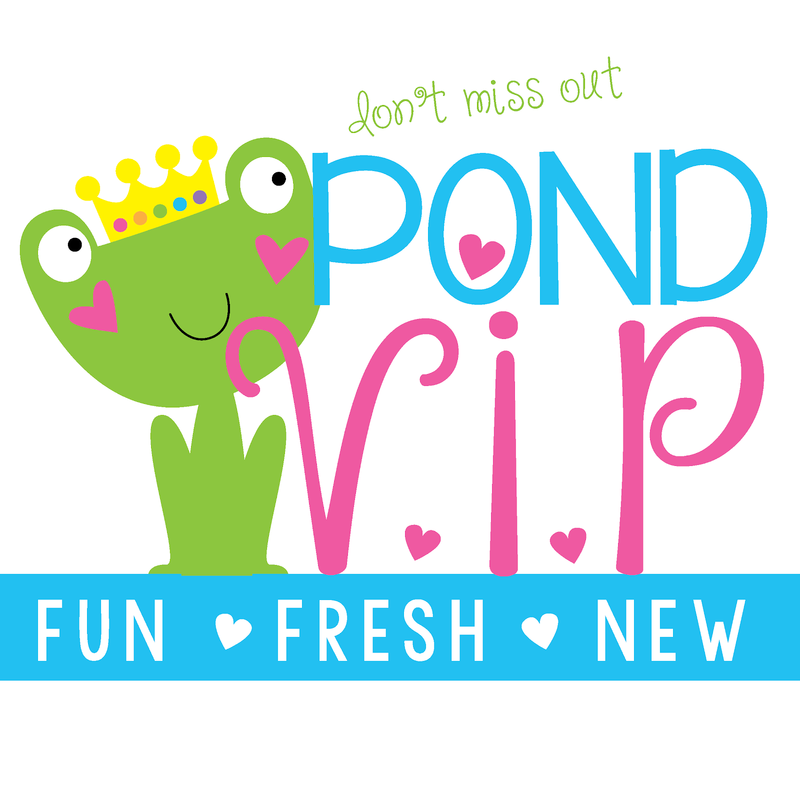 If you have the bundle, simply go to your purchases tab in your TpT account and grab the new files! 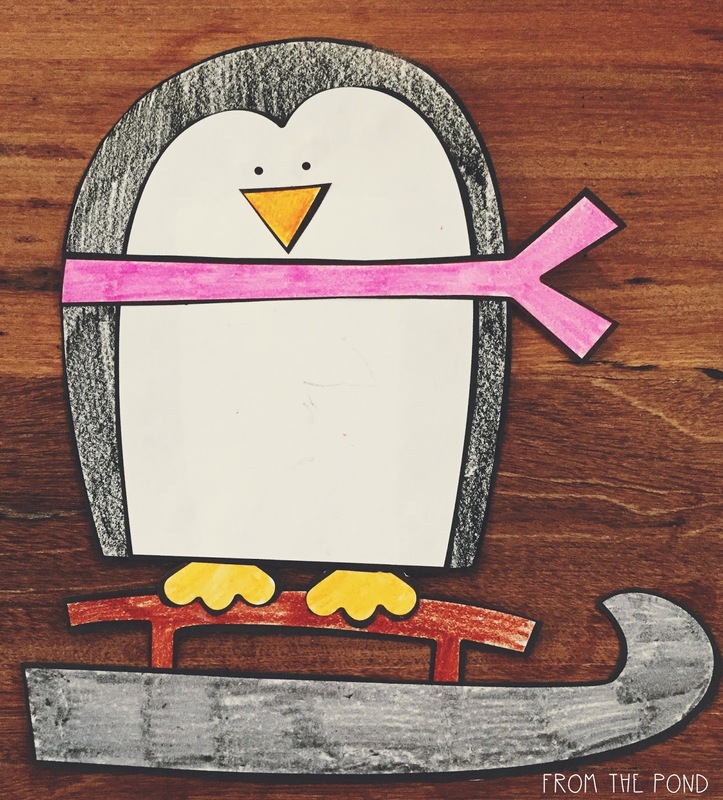 The first is a penguin craft with three writing prompt options. 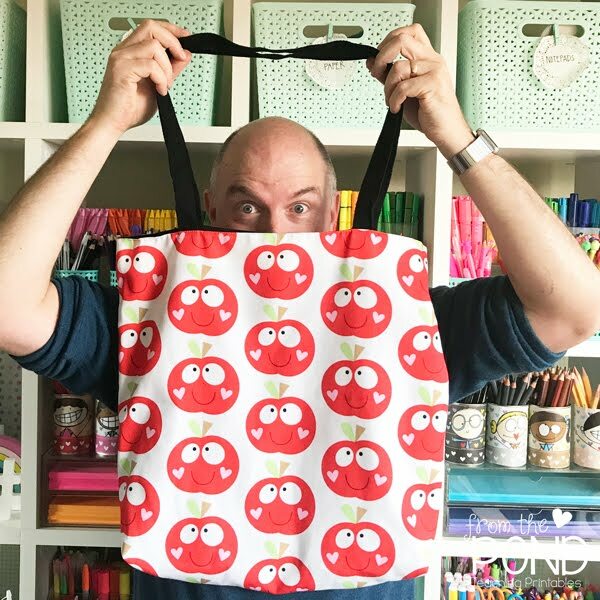 The second is a pencil case, perfect for back to school (eek! sorry to mention that fellow Aussie teachers). 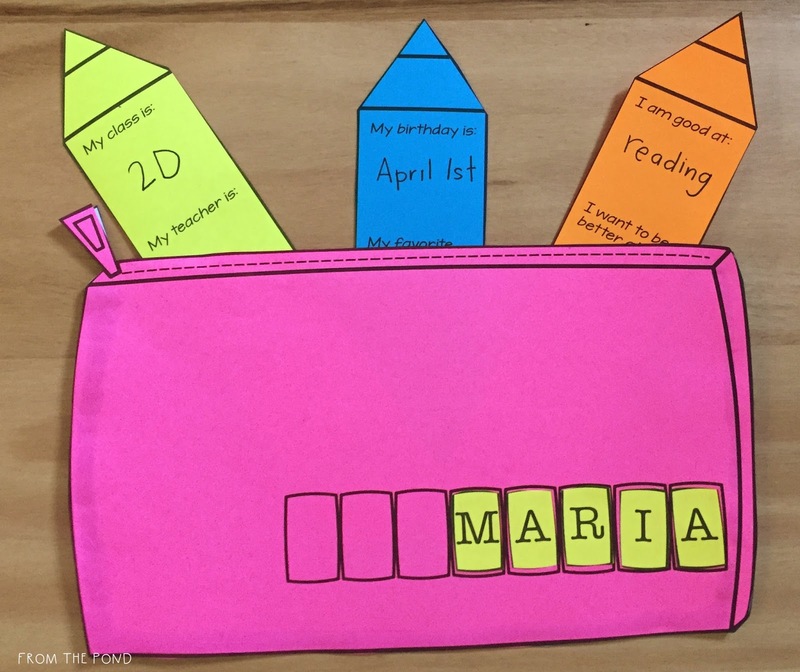 Students will fill out some 'getting to know you' facts on their pencils and slide them into their pocket pouch pencil case. Both of these crafts are available individually as well. 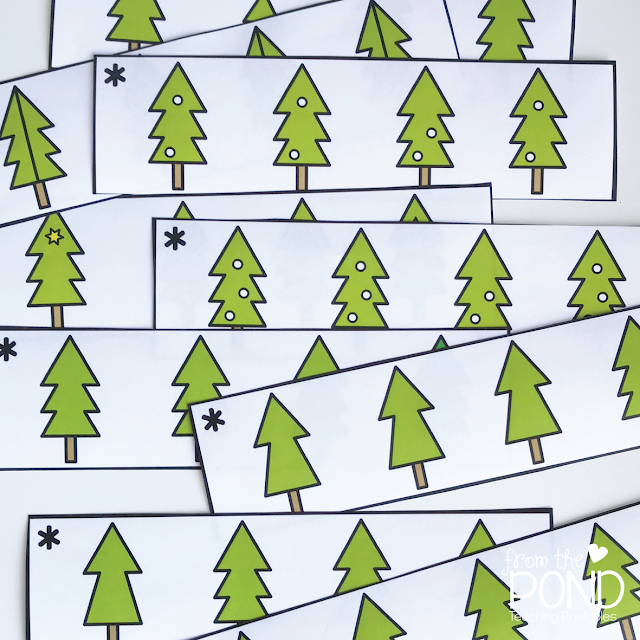 Here are a few simple 'low prep' activity for subtraction in the K-3 classroom! Roll a thirty or twenty sided number die and a standard six sided die. Students write a subtraction problem using the numbers thrown. They can 'touch count' backwards using the dots on the standard die if they need to. 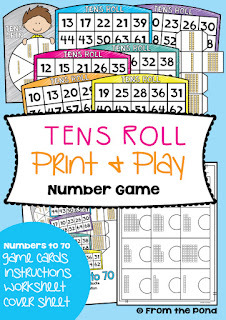 Roll again if the numeral die number is smaller than the dot die. Students take one tower of ten connecting cubes. They break the tower into two pieces and write down a number sentence to explain what they have done - e.g. 10-5 = 5. Each student has 100 cubes, a standard die and a small tub. 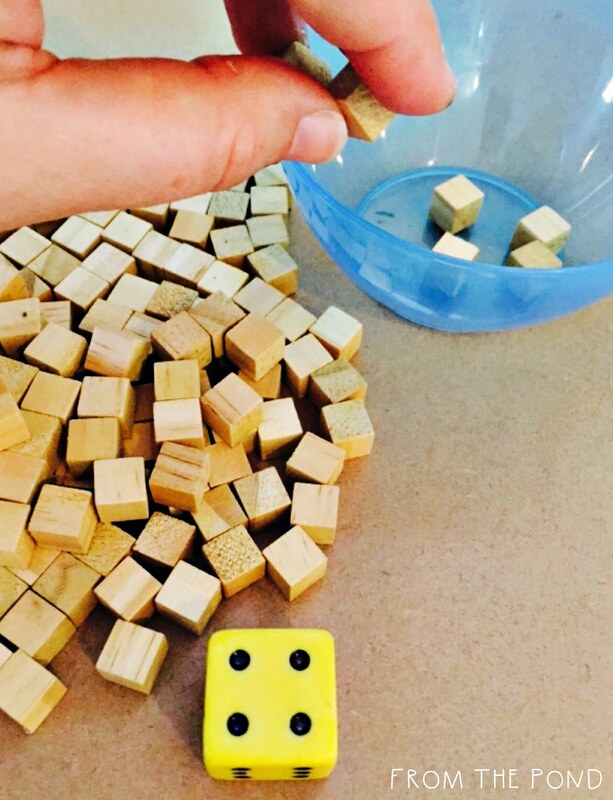 They simply 'roll and take' to move the cubes from their pile to the tub. This is great for students new to subtraction that simply need an abundance of practice 'acting out' the process of 'taking away' to make changes to a group. 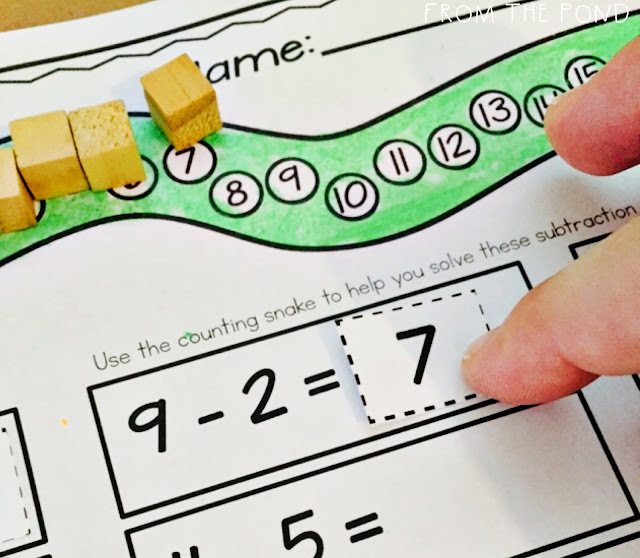 It will also reinforce counting and subitizing. 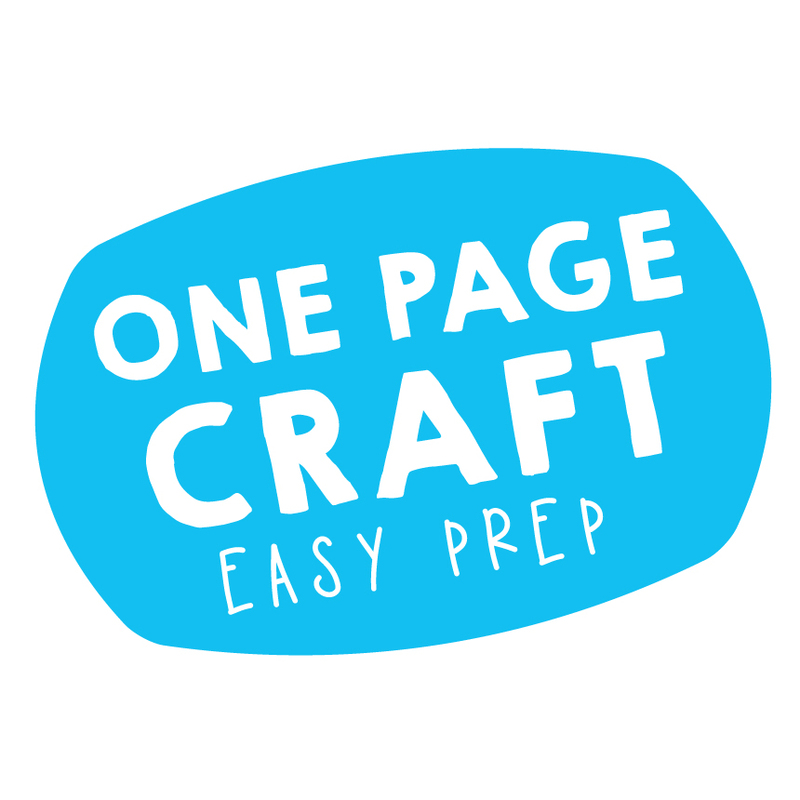 I have added a low-prep worksheet activity packet to my resource collection. 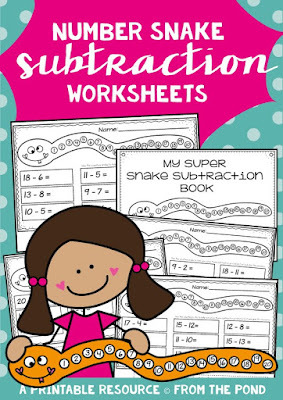 Number Snake Worksheets will help your students model the process of subtraction and record their answers on the one page. I have included cut-and-glue numbers, but if this is not suitable for your students, simply ask them to write the answer instead. 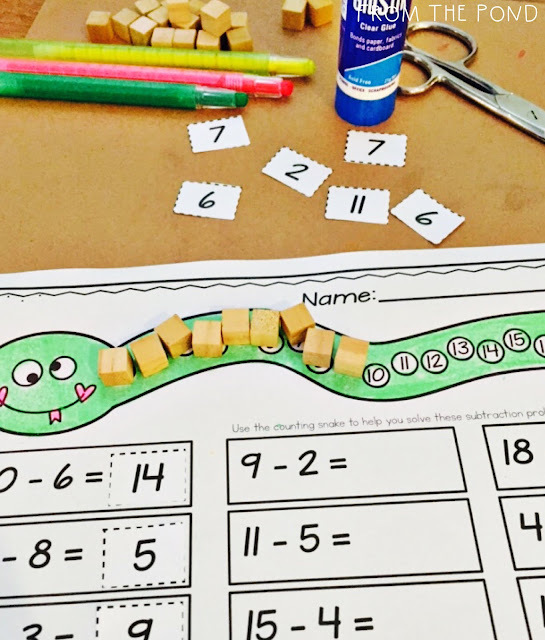 The snake becomes a count-back number line to give your students support. 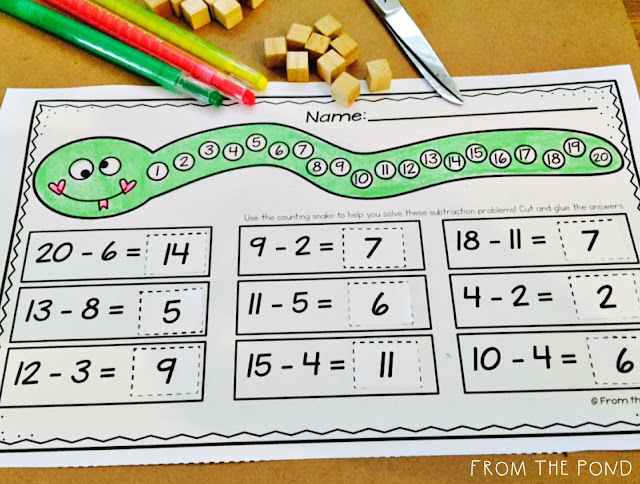 They can finger-point to count back, or you can ask them to make each number with cubes and place them over the numbered dots on the snake. For example, with 9-2, students would place nine cubes on the snake to begin. 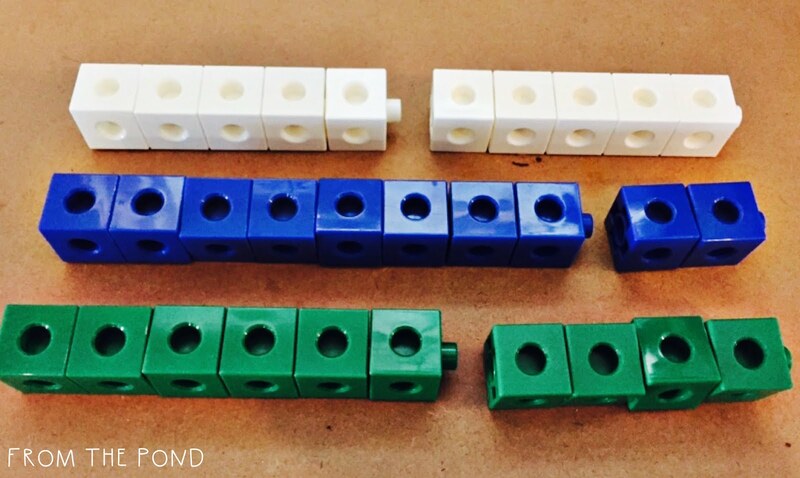 They then model subtraction by removing two of the cubes and taking them away from the snake. Students can count up how many cubes remain and check the number line to see their answer. This will also reinforce the concept that the last number covered is the answer - and it represents the number of objects left. 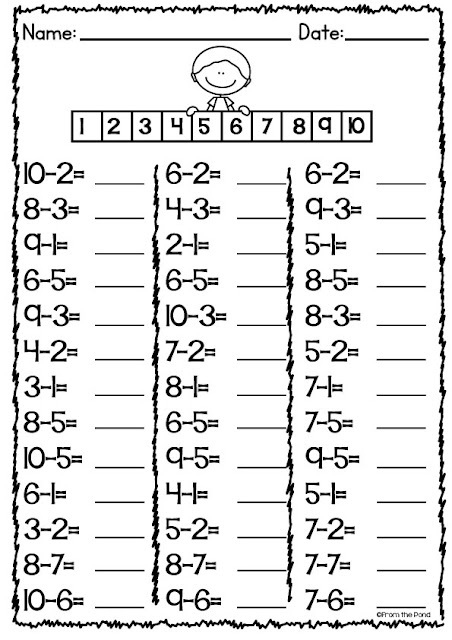 With subtraction on a number line, initially students may find it confusing to know if it is the last number pointed to or the next number. With actual objects, they can see the connection clearly. 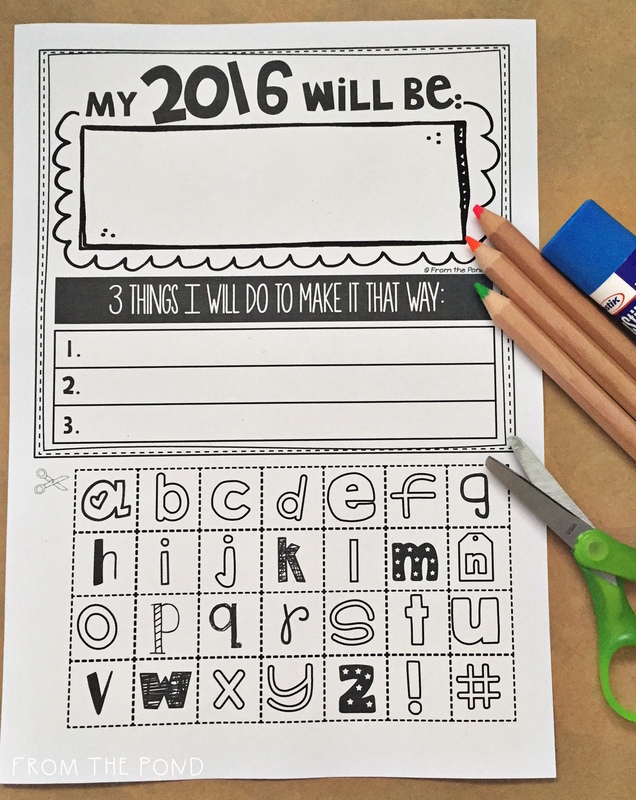 Students then record their answer (either cut and glue, or simply write). My subtraction snake worksheet packet is in my TpT store today! Want more like this? 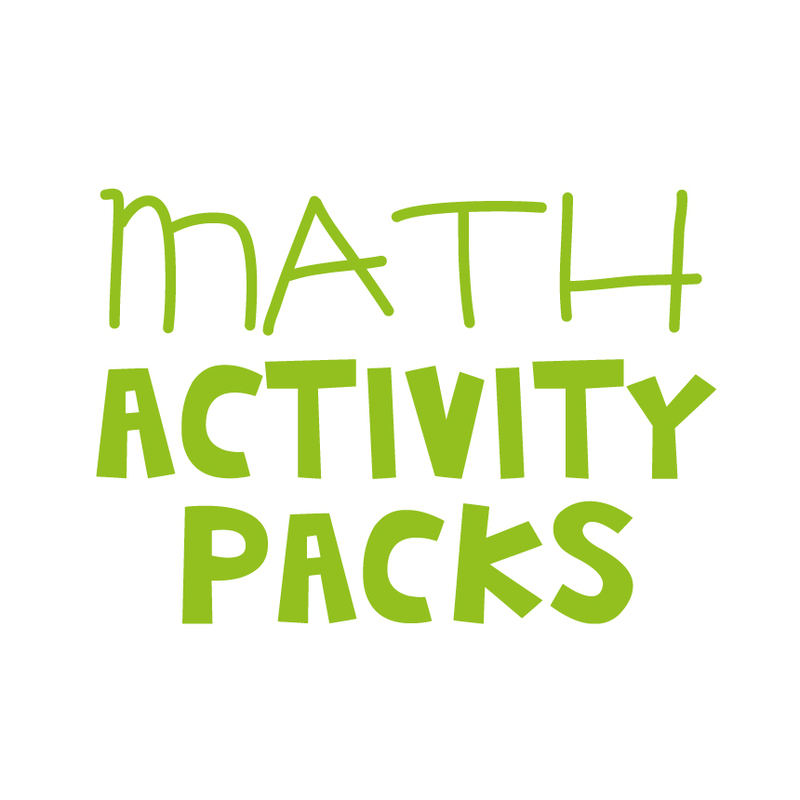 Check out this value pack in my TpT store for addition AND subtraction! 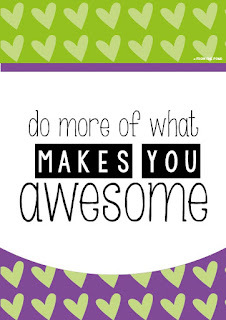 Just a little thought for today my friends! 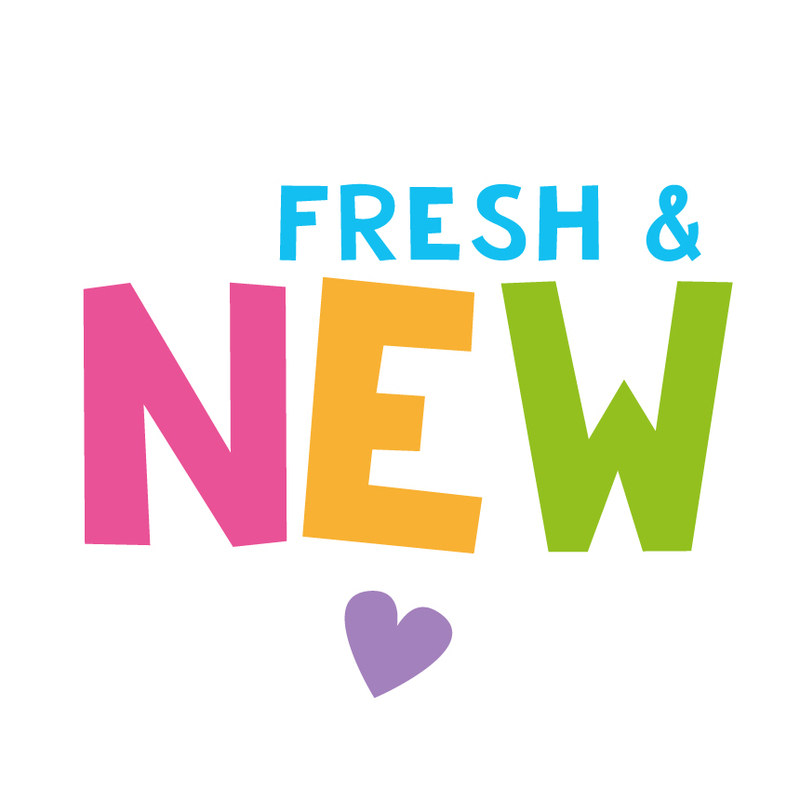 I love quotes and sayings that help guide me to new ways of thinking or that challenge me to change the way I feel. 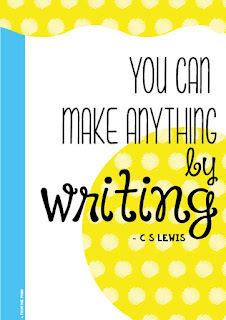 If you love quotes, you may want to follow my Facebook page or Pinterest board! I create and share inspirational pieces that resonate with me, or that I know will resonate with my followers. 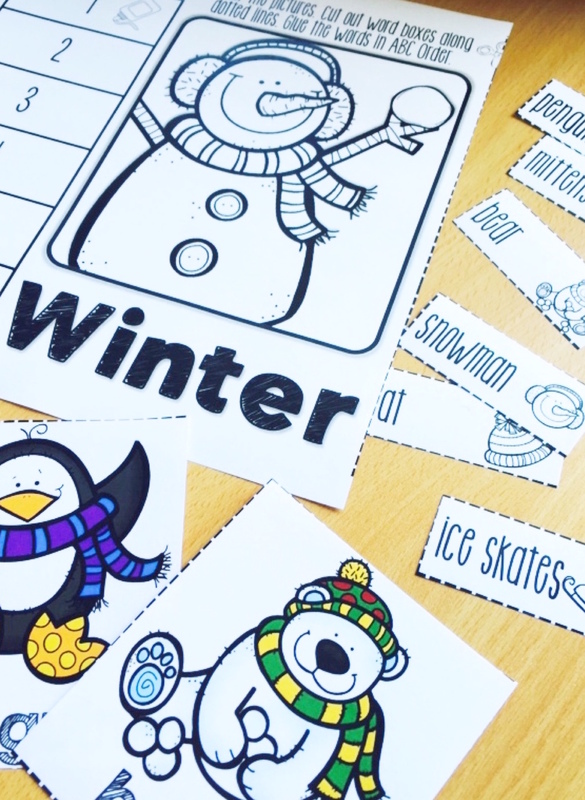 Get your students building snowmen AND word families with this collection of 22 no-prep activity pages! 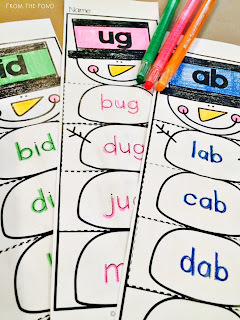 First they can read and identify words that belong in the focus family. 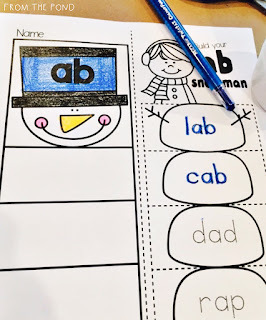 After carefully tracing the words on each snowball, students can cut and paste them into position to create their snowman. 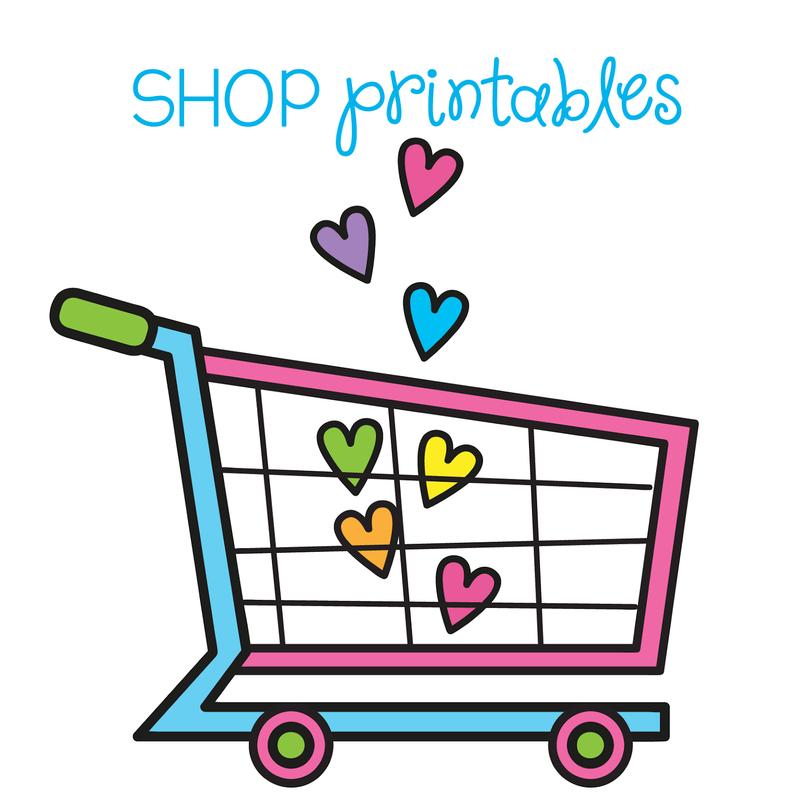 You can find this file in my TpT store on sale for today! 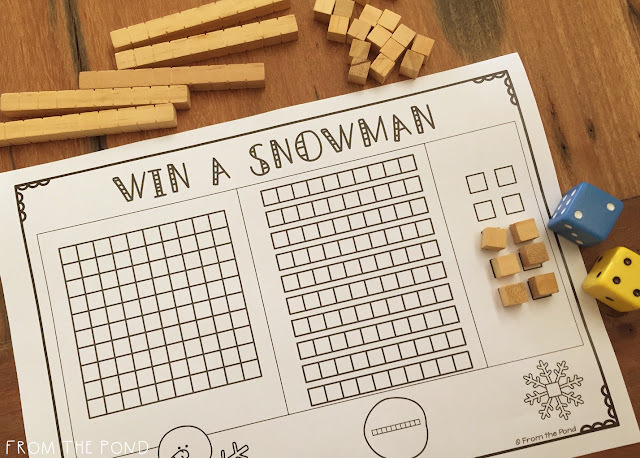 If you are looking for more fun snowman literacy activities, check out this one from More Than Maths by Mo. 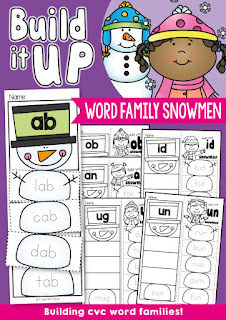 The printable includes activity cards to put in alphabetical order - making a great small group collaborative activity! Have a wonderful day friends, thanks so much for stopping by! Two more teaching days for me and I am on summer break! 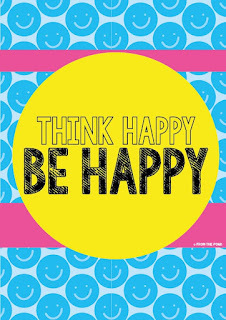 I am HAPPY! And grateful! And excited! And feeling creative! I love bright colours. 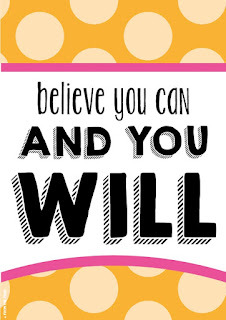 I love motivational quotes. I love making things pretty. 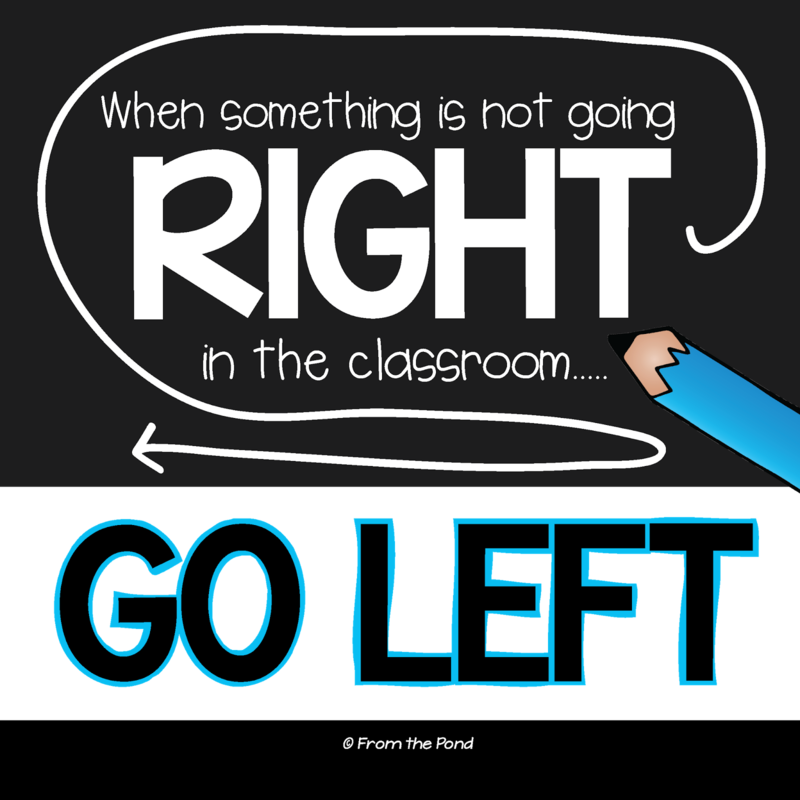 I love 'visual learning' and sticking-things-up-on-the-wall-that-you-want-them-to-know! And I especially love you! 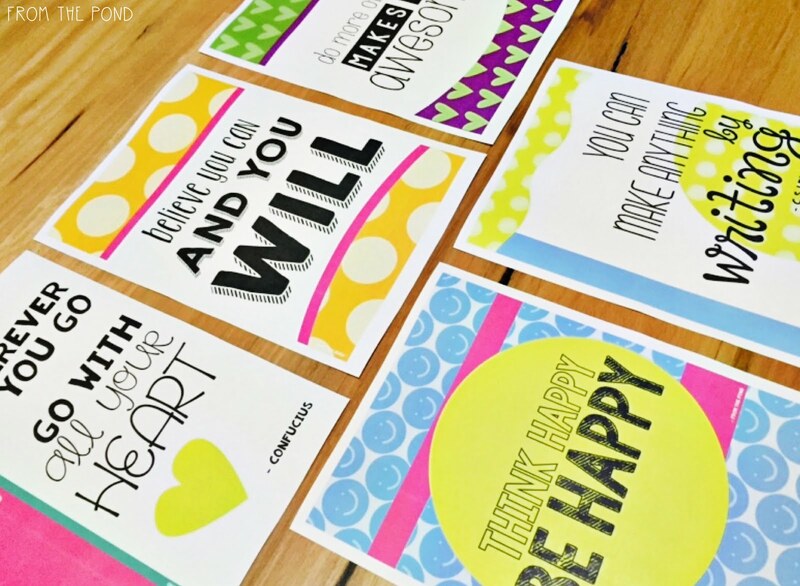 Put that all together and I present to you a fun free printable packet of classroom posters to inspire! 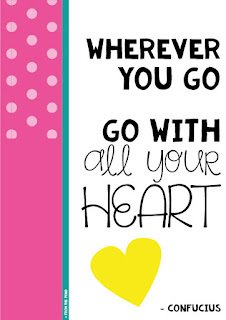 I picked some fun quotes from Pinterest that I think are simple enough for children to understand and relate to. 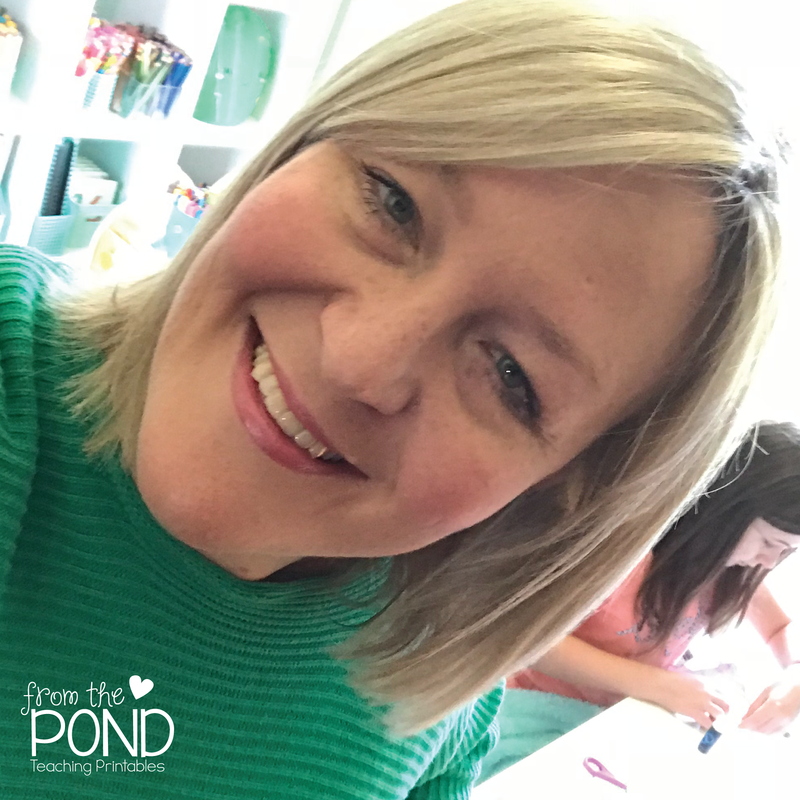 Oh-my-word, if you have not seen, heard or downloaded the font pairing guides from Kimberley Geswein, you MUST get them now! 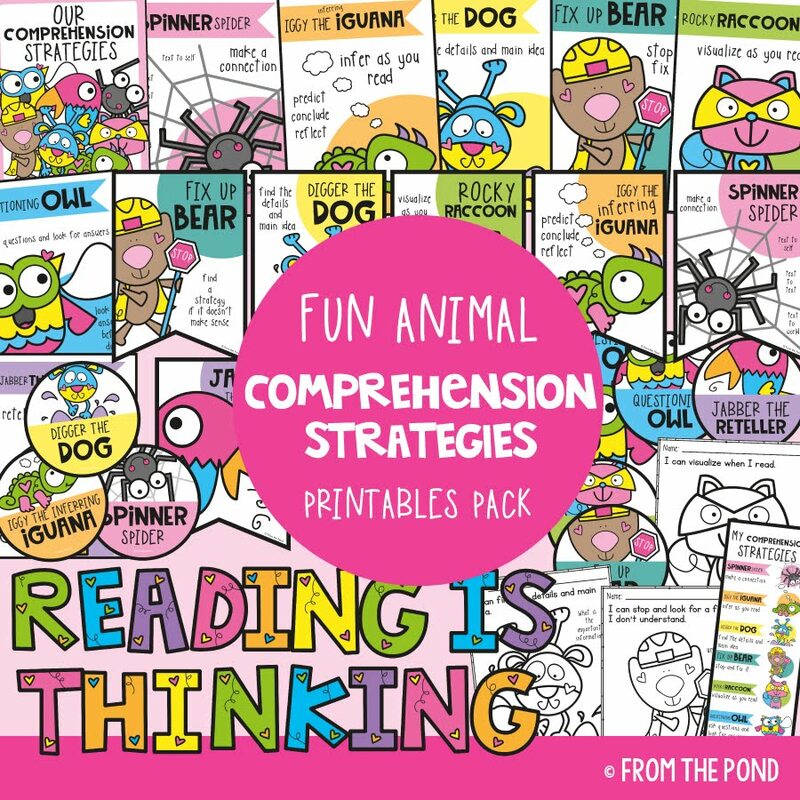 They are amazing and helped me a lot when I put this packet together. And when I say 'a lot' I mean A. LOT. 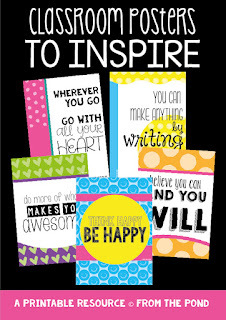 Head over to my TpT store to download this packet if you would like to add some cheery inspiration to your classroom, or home office! 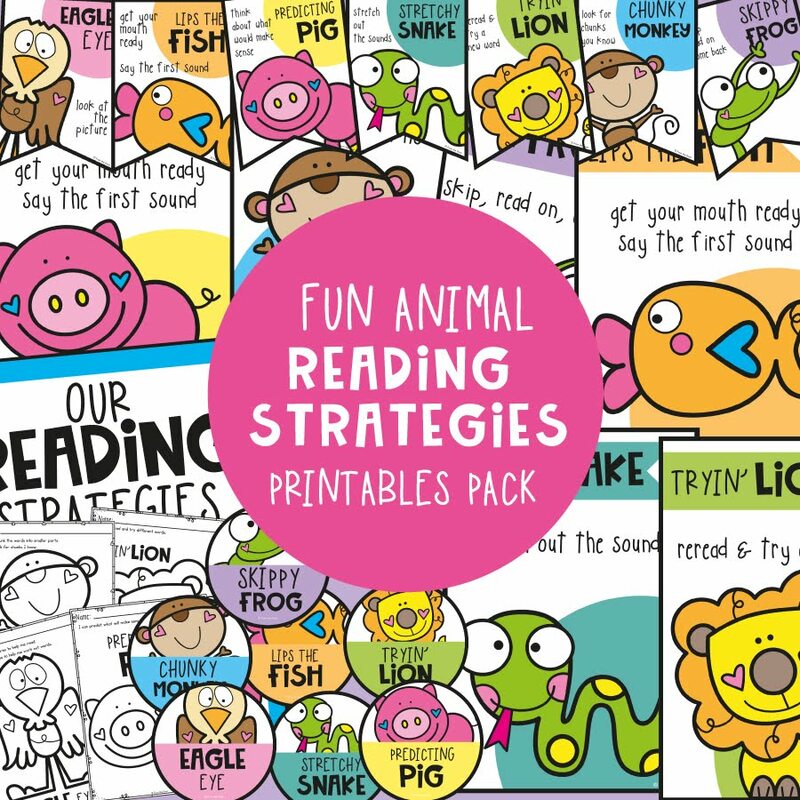 Visual discrimination activities will help support your students reading development. 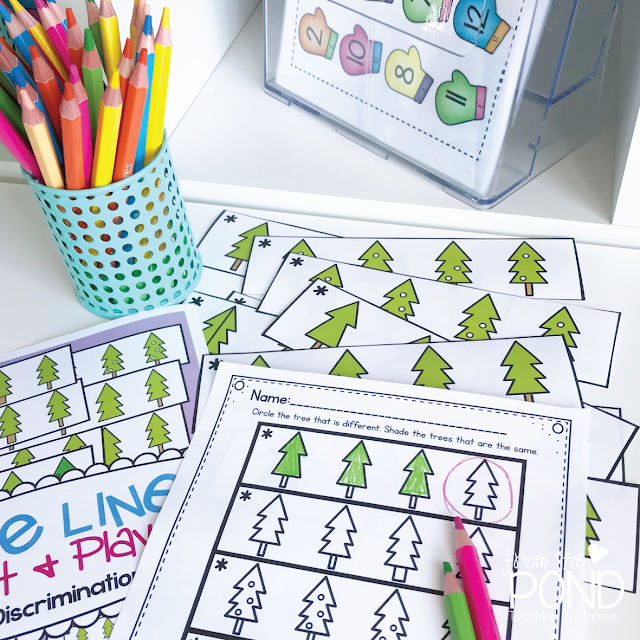 Your students can use dry erase markers to circle a tree that is different in each line. 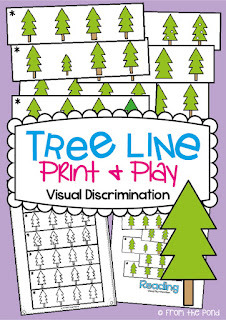 Encourage them to look carefully at each tree across the line from left to right. Tell the to start at the 'starting star'. You could also use counters, tokens or pegs (clothespins) with these cards. 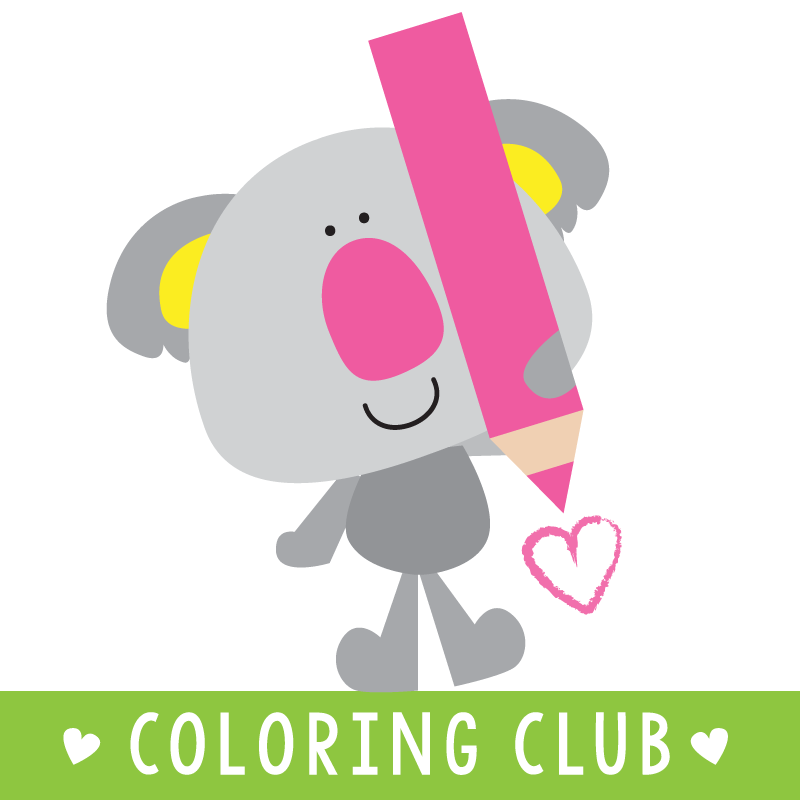 This printable file has a accompanying students worksheet and cover page (for organization of resources). Have a great day and happy teaching.